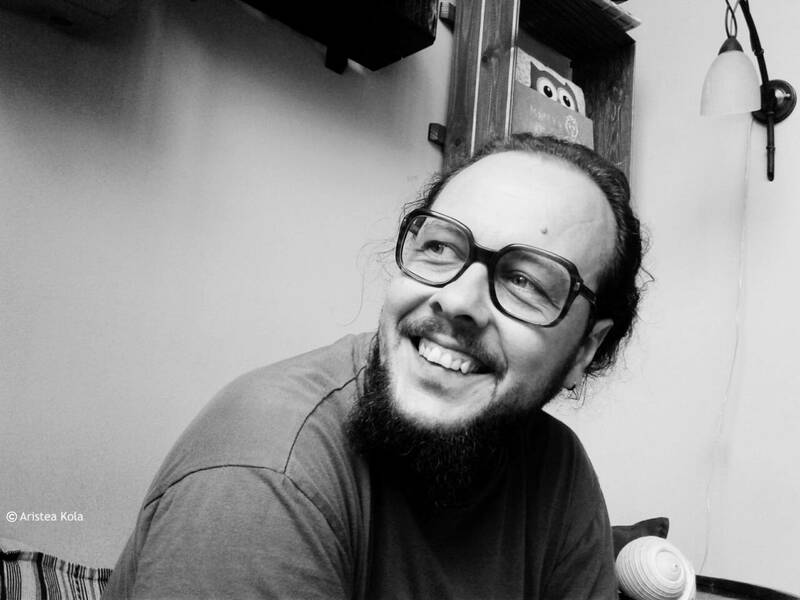 The fourth guest of KROKODIL’s house for writers in 2018. is Lisandri Kola from Shoder in Albania. He is a 65th author-guest who resides in Belgrade. Lisandri’s stay is being realized within the project READING BALKANS. He will present his poetry to the audience on festival Svetski dan(i) poezije (Worlds day(s) of poetry) on March 21th at 8 pm in program part called SLUŠANJE POEZIJE (Listen to poetry). The festival is held in the KCB (Kulturni centar Beograda). LISANDRI KOLA is an author, a researcher and also a translator. Kola teaches in the University of Tirana, Faculty of History and Philology (Department of Literature) ‘Albanian Modern Literature’ and ‘The History of Sonnet’. In the same time at the Department of Journalism he teaches ‘Translation Theories’. From 2014 he holds a PhD in Literary Sciences. His first publication was in 2006, when he was 20 years old, with the collection of poetries titled ‘Melody of Harp’. Two years later he published another poetry collection ‘Eyeless Rabbi’. In this year (2008) he won the First Prize as the best new novelist, accorded from Robert Schwartz Foundation (Tirana). Kola published several poetry collection and translations until his first novel ‘Saga of a Day’ (2011). Yet is the only novel published from author. During these years he has had a lot of scientific articles and a monography ‘The Fishtean Satire in Epic’, which is his Master Degrees work. Some of his poetries was published in Croatian and English. And also for the ‘Eyeless Rabbi’ he on December 2008, in a University’s magazine of Serbia, Milutin Ðuričković, publishes an article with title ‘Traganje za smislom postajanja, O zbirci poezije Slepi rabin’. Other articles in Albanian over his contribution he has had in magazines and newspapers from the period 2008-until now. His poetries in 2014 were honoured with the National Prize ‘At Zef Pllumi’ (1st prize in poetry). Was the collection of poems ‘Butterflies die on May’, that was awarded for the innovation in literary field, metaphysic verses and unique thematic. In 2017 in collaboration with Aristea Kola he founded the Annual Critic Magazine ‘Kêns’ (online). Lisandri’s stay is being realized within the project READING BALKANS. Through development of stable relations with partners in the country, region and abroad, with regard to similar and very popular programs of European metropolis, the Association KROKODIL has established the first continuous residence program for writers in Serbia – KROKODIL’s Writer-in-residence. From 2012, writers from many regional and European countries have been coming on a monthly basis, to live, work and create in Belgrade. Reading the Balkans is a project aimed at promoting literature from the Western Balkans through education and the formation of a literary agent who will represent regional writers on the international scene.